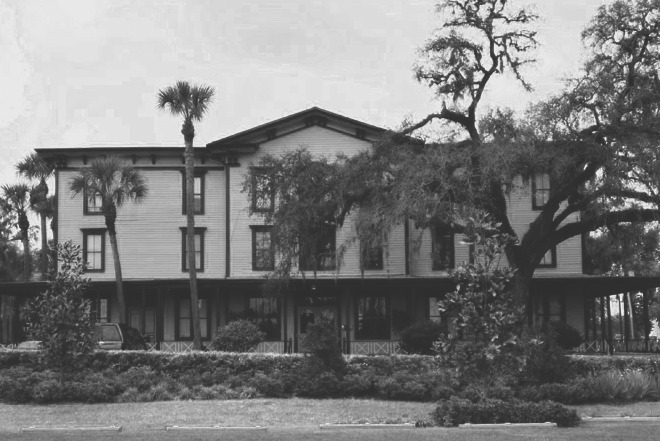 Shadow Hunting program are both coming to the Orlando area this weekend in hopes of meeting a few of the purported spirits living at the historic Longwood Village Inn. The Inn, which opened as the Waltham Hotel in 1887, is one of the few 19th century buildings remaining in Florida today and is listed on the National Register of Historic Places. Today, the old hotel houses full service offices and executive suites managed on site by Investorlando Realty. “Tenants love it because it’s a beautiful, unique building and the ghosts – and the ghostbusters – only come out at night,” quips Broker Lenny Layland, manager and part owner of the Inn. Legend has it the Inn has been haunted since April 1923 when owner George Clark had a fatal accident in the rear of the hotel while hosting an ice cream social. Since that time, there have been numerous accounts of unexplained shadows and voices, doors opening and closing, cold spots and sightings of children. The St. Marys, Georgia-based SPRS will be locked down on Saturday night, October 30 using a team with a combined 32 years of experience in hunting ghosts to try to prove their existence at the Inn. Shadow Hunting, a new ghost adventure show on the Travel Channel, will investigate paranormal activity on Friday night, October 29. This entry was posted on Friday, October 29th, 2010 at 1:00 pm and is filed under Uncategorized. You can follow any responses to this entry through the RSS 2.0 feed. You can leave a response, or trackback from your own site.